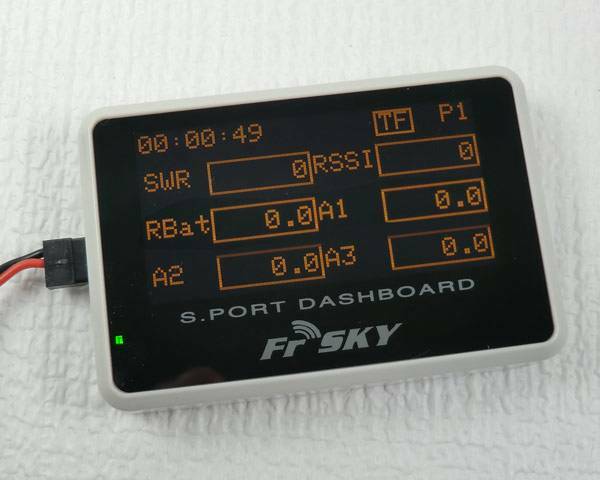 The Dashboard Smart Port Data Display connects to the XJT telemetry module and presents the telemetry data, sets alarms, adds speech, data logs, etc. What is the Dashboard? The Dashboard plugs into the back of an XJT module and allows the user to see telemetry data, set alarms, listen to data via speech, and more. 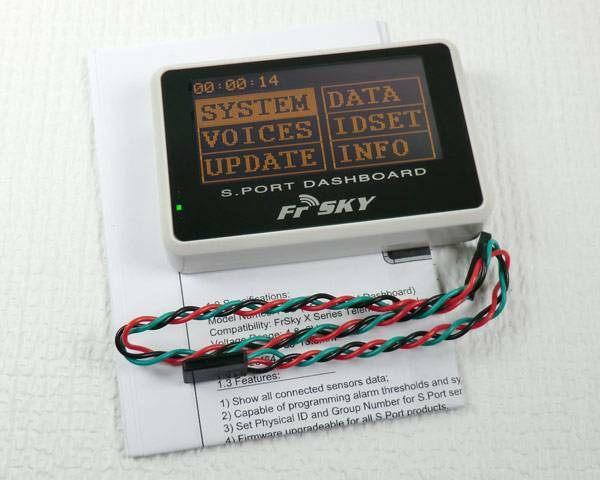 It is also a handy tool for adjusting the physical ID and group number for S.Port sensors. This brings some of the great Taranis features to folks that have installed an XJT into other brands of radios. It is not intended to be connected to a FrSky Taranis. The daylight readable OLED display makes the display very usable day or night. 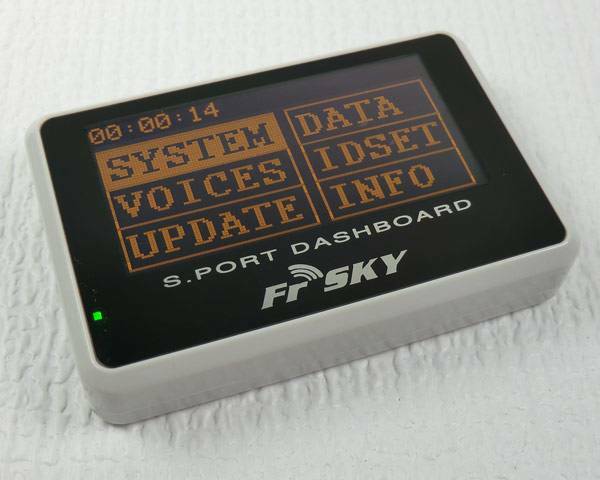 The Dashboard also acts as a sensor firmware update Wallet. Sensors, receivers and XJT transmitter modules can have their firmware updated without connecting to a computer for having to be removed from their airframes. 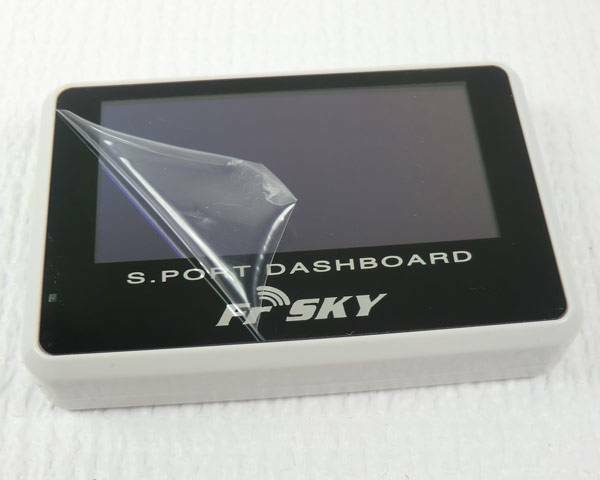 Note: FrSky includes a protective film on the screen, it can be peeled back for a crystal clear window. Compatible with X-series transmitter modules: XJT (JR) and smart port receivers and sensors.